Kaiju Crush Review - Have fun destroying the city on Game Night — GamingWithSwag.com - Dads By Day, Gamers By Night. Monster movies have recently made a comeback with the Pacific Rim sequel due out soon and with the Godzilla franchise rebooting in the US and Japan. Kaiju fans have a reason to be excited. While you wait for the next blockbuster you might want to check out Kaiju Crush, a new family board game by Fireside Games. 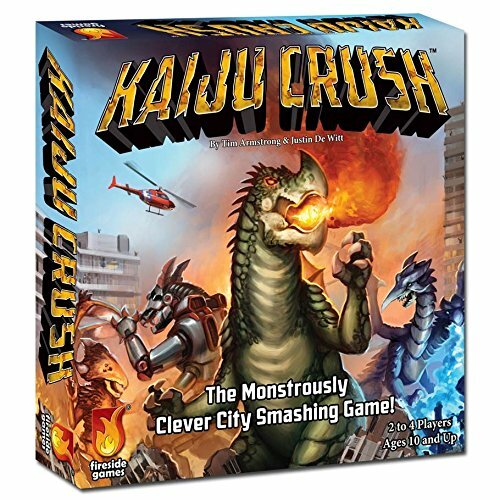 Kaiju Crush uses tiles to create a cityscape for your giant monsters to destroy during the course of the game. Your goal is to gather the most points by collecting city tiles, battling other monsters, and completing objectives. Gameplay is relatively simple, consisting of movement and battle which is done Rock-Paper-Scissors style, except monsters use Claw-Tail-Kick, obviously. As players move around the grid they collect the building tiles they have destroyed and in their place, they put down rubble cards of their color in order to mark their territory. Monsters face-off in a best of five battle using a deck of cards representing Claw, Tail or Kick and two additional card types: Firebreath beats all other cards except Spikes which beats Firebreath but loses to all other cards. 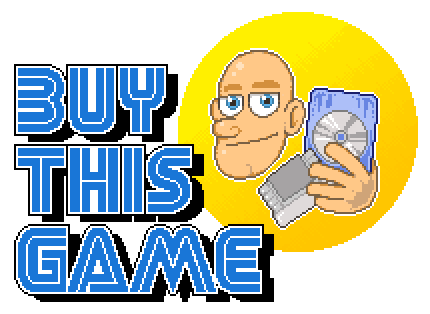 It might sound confusing but it’s really quite fun. It’s a surprisingly elegant way to simulate a fight between a giant lizard-mech and a blue two-headed dragon. Once all buildings have been destroyed the game ends. Players tally points gained from tiles and from battling. Points are also awarded for completing objectives which require players to focus on the size and shape of one’s territory and the types of building tiles collected. The rules are straightforward and clear. One read-through was all that was needed to understand enough to get started. There were pictures to illustrate many of the concepts, and most special abilities and objectives were specifically explained so there was no question about the more complex elements of the game. One of the most common tropes of Godzilla or Kaiju films is the destruction of helpless cities and having monstesr pitted against one another. Kaiju Crush takes these themes and turns them into a family game with some interesting concepts that fit well with the subject matter. For a game as light and quick-playing as this some might chafe at the idea of sorting cards and tiles depending on the number of players along with setting up the city grid. But in all, this game doesn’t take more time to setup than it needs to and adjusting the number of components in play for the number of players is important for the balance of the game. After the first play-through you will have no trouble with setup and takedown. In the box you’ll find bags for all pieces in order to keep everything well organized. A game about giant monsters wouldn’t be any fun without some cool monster designs. In Kaiju Crush players choose one of four monsters that include a giant lizard and a pincer armed beast. These are represented by cardboard standees. The building tiles are colorful and are comprised of a variety of buildings, establishments and locations one might find in a city. This game will appeal to families and kids who might enjoy the destruction of a good monster movie. It uses light strategy to create an enjoyable game that can be played with kids starting around age 8 (Box says 10 and up but we say go rogue). While adults will view this as a more casual light game, parents with children will get a kick out of battling each other over territory in order to deny precious objective points. Kids will get the satisfaction of thinking a few steps ahead so that they can be the first to get to those high scoring city tiles. If you’re looking for a simple strategy game to put on the table for family game night this might be the game for you, just watch out for the deadly firebreath.